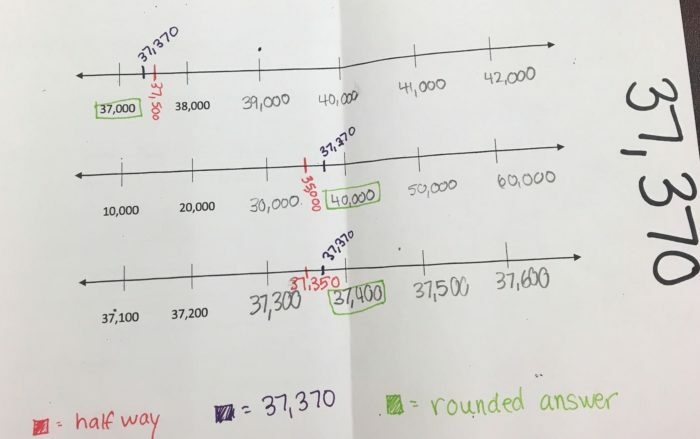 Often we teach the meaning of equality as the equal sign indicating “put the answer.” To prepare students for future mathematics, we need to rethink the way we communicate this representation to students. The equal sign is too important to attach such a limited meaning, especially when students are moving to abstraction. When moving to abstraction, it is important to use this symbol as a “reader” versus a “speller.” What do I mean by that? Let me explain. First, a speller sounds foreign because the student is trying to make sense of abstract symbols that they don’t fully understand. 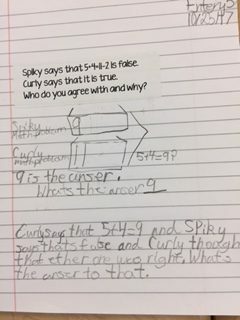 A reader connects meaning that they can comprehend while connecting the story to the symbol. 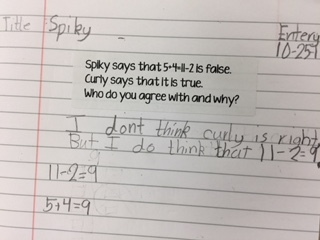 Using a simple addition problem as a reader versus a speller. 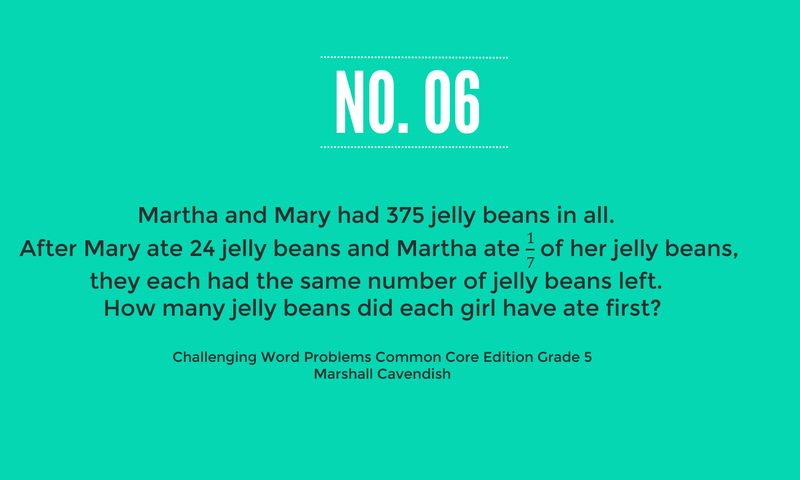 A speller would say, “Four plus five equals nine”. A reader would say, “Four apples and five apples is the same as saying ‘I have nine apples’” . In the journal prompt below, we want students to see the statement as 5 and 4 is the same as 2 less than 11. If we focus too much as a speller, students see symbols as performing actions rather than relating ideas, which leads to misconceptions of the equal sign. Less is more. 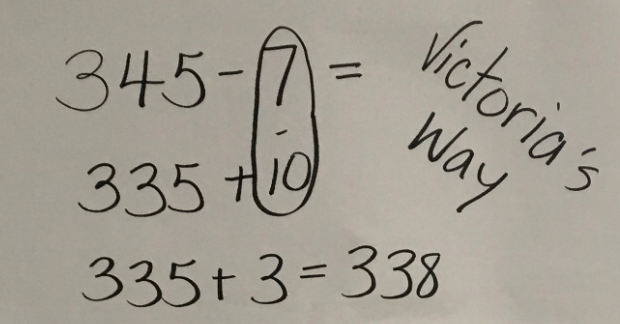 Hesitate in thinking math becomes harder by creating larger numbers, rather provide depth early on using children’s intuitive understanding of basic number operations. A simple journal entry can help assess what students understand about operations and the meaning of equality. Once you find that a student understands the meaning of addition and subtraction, it is time to create tasks that dive deeper in understanding equality. 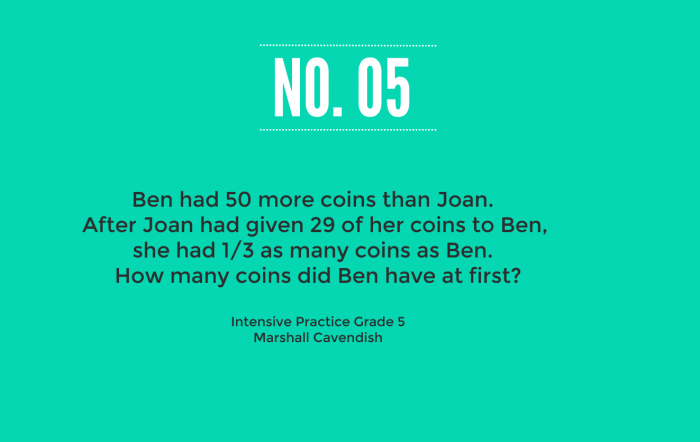 These task can be as simple as asking questions such as, 4 + 5 = ____ + 6. 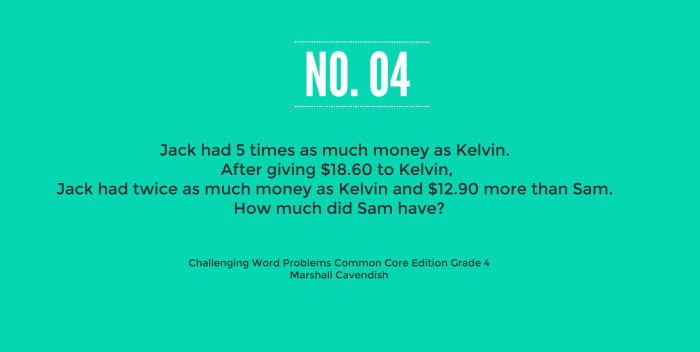 Additional equality tasks can be found in the Algebraic Thinking and Reasoning with Numbers books (Groundwork Series) by Greenes, Carole, et al., (https://www.mheducation.com/prek-12/program/MKTSP-O8302M06.html). In the book, “Thinking Mathematically,” Carpenter, Thomas P., et al. suggest some benchmarks to keep in mind while moving towards the conceptual understanding of equality. Establish a starting point. 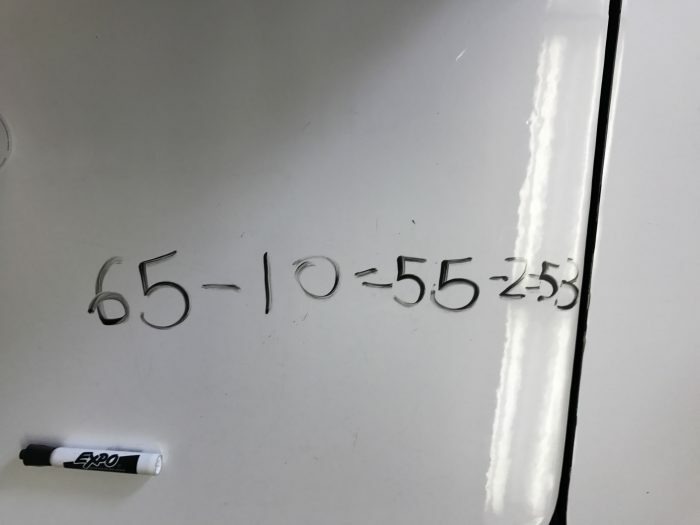 What are students’ initial ideas regarding the equal sign? Mix it up. Don’t always write equations in the form a + b = c, rather c = b + a. See the equal sign as a relational symbol. Emphasize students proving that each side is the same as the other. Compare sides without calculations. Encourage students to look for relationships without performing calculations. Listen to students and be aware of where they are in the process. Encourage them to question if it is true. If so, why is it true? By listening and looking we may be pleasantly surprised at what we find out. Below is student work demonstrating various levels of understanding within the concept of equality. 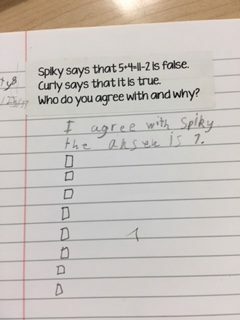 Spiky says that 5 + 4 = 11 – 2 is false. 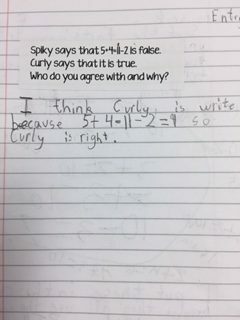 Curly says that it is true. Who do you agree with and why? This student understands how to simplify expressions but lacks applying the meaning of equality. This student is confused in understanding what it means to have expressions on each side of the equal sign. This student understands the meaning of equality. What can we ask next? This student demonstrates a shallow understanding of equality. What can we do next? 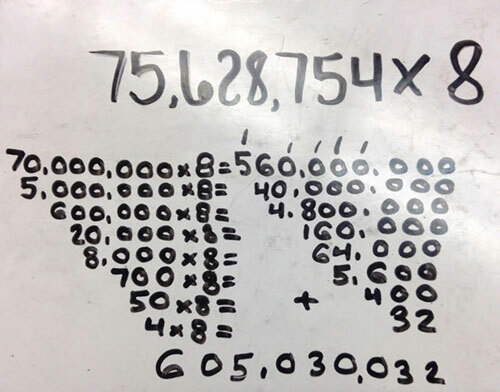 This student can solve for an answer but needs practicing in mixing up the form of an equation. How can we differentiate instruction without putting more work on our plate? Teachers do not have time to prepare multiple tasks and lessons to meet the needs of each student in the classroom. The key is giving an anchor task that all students can enter and knowing how to adjust the task based on our observations. In this class, students were guided to use “Katell’s” method (aka-left to right strategy) to solve the problem 65 – 12. 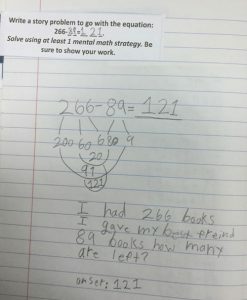 Notice how the student recorded their thinking process. How can we differentiate with one task? During the guided structure component of the lesson, teachers are observing and questioning students. This student demonstrates and can explain the left to right strategy. What comes next for this student? During our planning phase, we need to ask ourselves, “What can I do for the student that already knows the answer”? 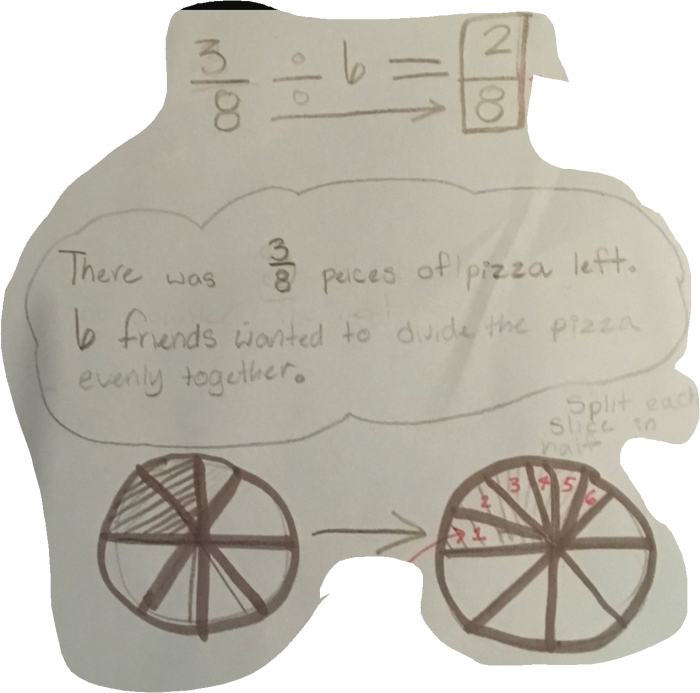 Looking at this student’s work, how can we deepen the mathematical understanding? After listening to the student explain his thinking, the teacher commented, I can understand your verbal explanation, but your written work is confusing to me. I wonder why I am confused? The teacher then walked away, and the student grappled with the idea of equality. Differentiation is meeting the student where they are at and extending the learning. Do not try to create more problems for students to practice. Plan your task thinking of what mistakes students typically make and how you can help extend the thinking. Use your observations to go deeper and differentiate! 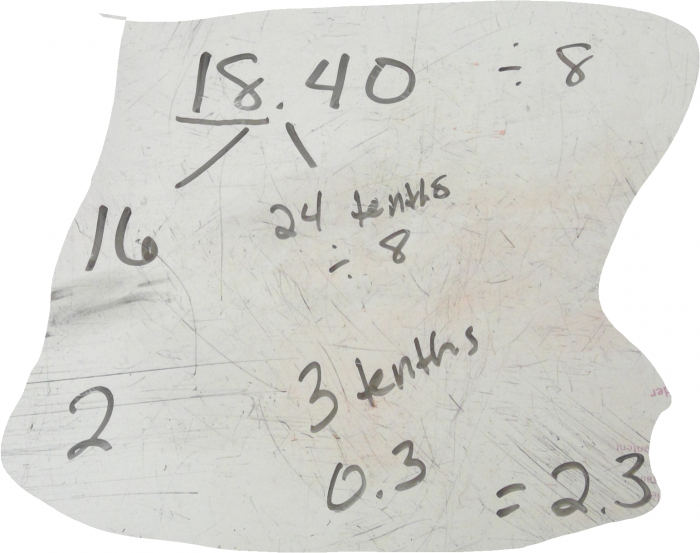 What are other ways you could take the task 65 – 12 and extending the task? Share your thought below. Counting Activities should include matching objects to pictures and different representation of a number. Games like “Go Fish”, “Concentration”, and “War”, where student have to make a match are great ways to practice the early stages or recognizing numbers and counting. 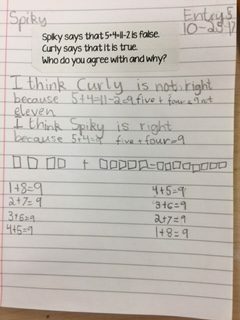 Can you assess this student from looking at the different ways of thinking? Is there anything as teachers, we need to address? Take a look at this problem. What was she thinking? Do you agree or disagree? Explain.